This page contains one full poem of mine in original English, plus a link to two poems from my adolescent years (in Greek). Poetry: All other poetry of mine (in Greek, English, and German) has been used in my own compositions. You will find them by clicking on the button "Compositions List" (at the left column) and strolling down. I have not uploaded all of them yet, as they also require translations, but I am working on this project at the present time! Poetry: The poem Oracle was written 1997 in Iowa City: the original language is English. I have put the text into music in my first large ensemble composition. For me, it was still a blissful time: I was at the second semester my 3-year Doctoral Fellowship at the University of Iowa. I had been chosen for the DMA degree (Doctor of Musical Arts) in Piano Performance. Yes, as some more courses were needed (outside the field of piano) I chose Composition. The reason fo my choice was obvious to me: I had one of my compositions (MARTYRIA) chosen to be publicly performed! 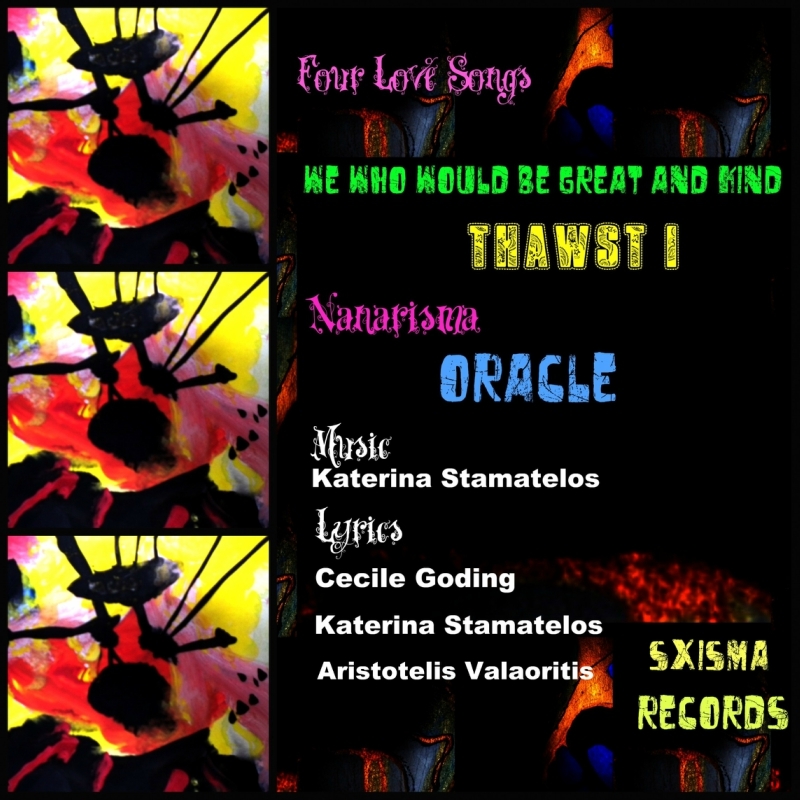 The performance was a great success and, soon after, I received a commission to write 3 to 4 Greek Songs. I was perplexed, surprised and...terribly scared! Finally, the Daemon Songs were created (in three languages) within only 15 days. They were also publicly performed and televised! Thus, coming to Iowas, it was only natural to chose composition as a "supplementary course." I was placed in a group course and was bored to death: after all, I had already produced two full compositions (and all the 'directions' about how to form a musical phrase, etc seemed infantile). So, at the end of the first semester, I grabbed my courage and went to a composer (David Gompper) and asked him whether I could enter Composition full time: he gave his consent. Being quite realistic though, I also approached the Director of Graduate Studies and asked for a permission to study Composition with a degree in mind (in addition to the DMA for Piano Performance). I will always remember this particular conversation between us. Him: you can be a double major student, but you cannot aim for two Doctoral degrees! So, Composition has to be a Masters degree. Him: you should also be aware that, as a double major, you will have to take all needed course for the DMA in piano PLUS all needed courses for the MA in composition. You will not be granted any 'favours', like common courses. Me: I undestand. It will be a lot of work so, I must ask you whether I could get an extension of my fellowship from 3 years to 4 years, if I promise you to bring A's on all courses of both degrees! At this point, the Director took a good look at me (trying to figure out whether I felt that strong of whether I was...nuts!). I looked back at him with determination and, suddenly, he replied: "It's a deal." Thus, my double-major studies at the University of Iowa, School of Music, started! And, for a total of 4 years, I worked 12 hours a day (including ALL weekends and ALL Holidays!). In His galaxies of Joy! Subscribe to my B-Monthly Newsletter!